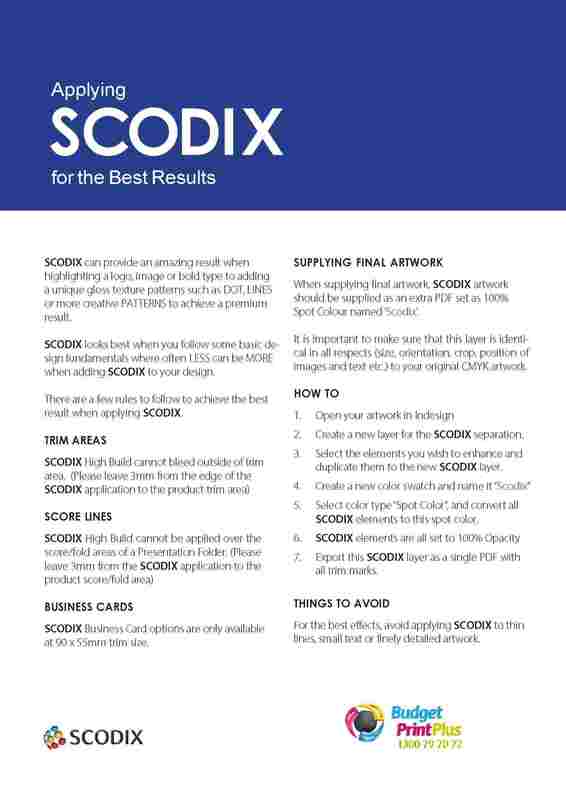 Scodix Business Cards set you apart from the rest! (Scodix 1 Side-Printed Two Sides) Scodix presses offer genuine differentiation with Scodix Sense™ digital enhancement that literally stands out from the sheet. Nothing says quality like gold Scodix Business Cards, shiny smooth spot accent like raised text incorporated with embossing. Choose where you’d like to apply this raised glossy accent with an element of glitter and let us do the rest. We can also add Raised Spot Gloss to any parts of your cards. Scodix Business Cards, all finished with the "NEW Luxurious" Velvet Laminate, feels like the skin of peach only smoother! In traditional approaches, embossing calls for two dies and a separate press run after any varnishing or laminating. With Scodix sense, you could effortlessly produce those precious consequences in a single skip. Open your artwork in your preferred design software and create a new layer for the Scodix separation. Select the elements you wish to enhance and duplicate them to the new Scodix layer. Create a New Color Swatch and name it “Scodix”, select Color Type “Spot Color”, and convert all Scodix elements to this spot color. To achieve density effects, you just apply different levels of opacity to the desired elements; to achieve a high gloss effect you apply full density – 100% opacity, for a matte effect, you apply low density – 5% – 30% opacity. If the item to be enhanced is a picture, you will need to create a mask in Photoshop. You will see the different densities on the UV layer. Then we save the graphic working file and save the two layers – CMYK and UV – in PDF. To produce the Scodix Metallic effect, Scodix PolySENSE™ is applied, using the same process, on top of a silver lamination to achieve a wide variety of metallic colors. Business cards ought to be a piece of your self-presentation. These eye-getting 90 x 55mm bits of 350-420GSM paper contain all the imperative contact data expected to catch your prospect's consideration and help you stay in their recollections well after your underlying meeting. Today, contacts likewise expect business cards. They can improve your believability and authenticity and give your prospect a superior feeling of your polished skill. No other promoting is more successful than eye to eye correspondence combined with a handshake. Business cards can go wherever you go, making them a vital portable showcasing apparatus that can encourage the procedure of building up and keeping up new customers for future business opportunities. You never know when you'll keep running into a possibly important prospect, so you ought to dependably be readied. By keeping a pile of business cards close by, you'll be prepared to showcase your business when the open door emerges. Business cards are a straightforward approach to set up your image, which thus makes your business all the more effortlessly perceived. A fruitful card ought to contain your organization's logo, publicizing trademark, and fundamental contact data, including a telephone number, site address and email where you can be effortlessly come to. Keep in mind that because your business card is produced using paper does not mean it cannot likewise be technically knowledgeable. Numerous entrepreneurs now utilize QR codes on their cards that can be scanned by a cell phone to direct clients to the business' site or online networking page. One of the greatest favorable circumstances of a business card is its reasonableness. Organizations can print business cards for short of what it expenses to deliver different sorts of advertising materials, for example, advertisements, press units, and item tests. At the point when the cost is so low and can be effortlessly fit into any business spending plan, why not keep business cards close by? A business card is a fantastic tool for a company to pick up momentum with an enticing outline. One of the most exceedingly terrible slip-ups an entrepreneur can make is to misinterpret the significance of a quality business card to the brand character and business advancement. It can go about as your early introduction and straightforwardly reflects how potential prospects and clients take a gander at your business. While there's no denying web promoting has turned into a well-known instrument for business experts, conventional advertising stays solid.